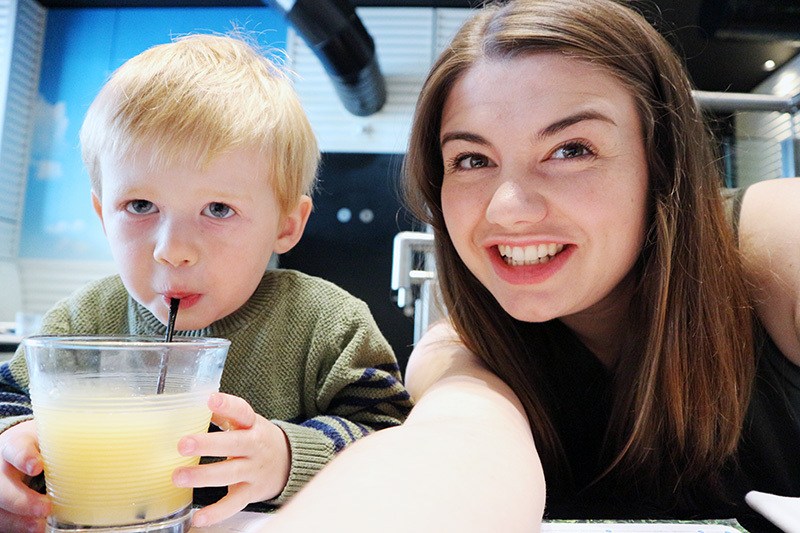 It is time to share the second instalment of 'Eating out in Cambridge with Kids', and today I am excited to talk about one of my all time favourite restraurants: CAU. Both Jono and I have eaten at CAU many times before, and it is actually our go-to restaurant for date nights. We have spent several of our anniversaries there, as well as Valentine's Day one year, but until now we had never taken Zach. 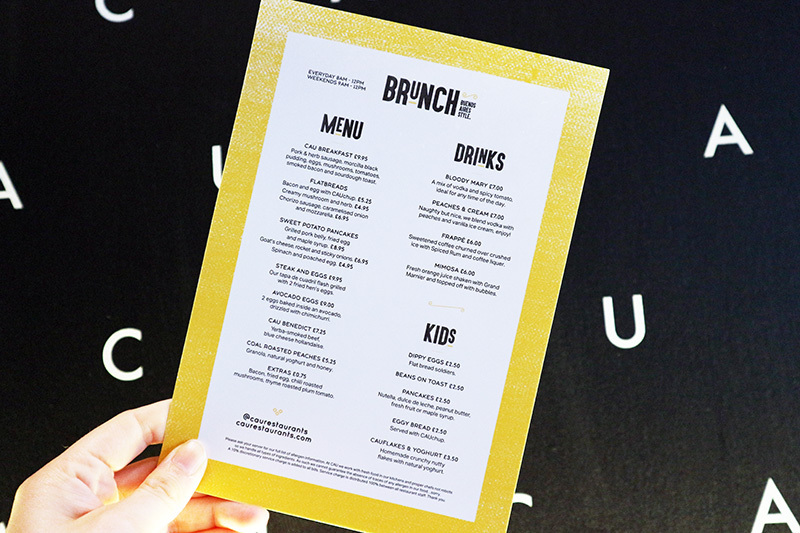 CAU kindly got in touch to see whether we would like to try out their brunch menu, which was totally new to us, and we absolutely jumped at the chance. I was delighted to see that there is a dedicated kids section on the brunch menu, meaning it was the perfect opportunity to take Zach for his first trip to CAU. We headed there on a beautiful Thursday morning for a little mid-week treat, and I couldn't wait to see what they had to offer. CAU is an Argentinian restaurant located right in the city centre on Bene't Street, an area which is fast becoming the food quarter of Cambridge. It is in an ideal spot for a pre-shopping trip brunch, but equally, if you are just heading there to eat CAU is relatively easy to get to thanks to it's close proximity to the Grande Arcade car park and the city centre bus stops. For disabled drivers it might be worth considering parking on Free School Lane which is just that little bit closer. The brunch menu at CAU is served between 8-12 on weekdays and 9-12 at the weekend, and is filled with lots of delicious options. I can't tell you how happy I am to see that they have a totally dedicated children's section, with options which I'm sure would suit even relatively picky eaters. I love that there are healthy options on both the adults and kids menus, giving you the freedom to indulge as much as you want to. 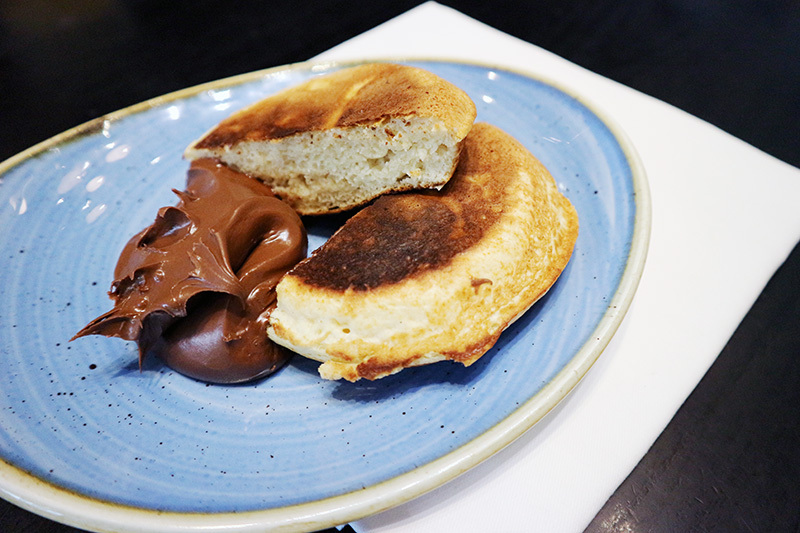 Despite the healthier options on the kids menu, we ordered Zach the Pancakes with Nutella as a treat, and he most definitely enjoyed his meal! I was so jealous when it came out, and did actually pinch a bit from his plate, so I can confirm that they were absolutely delicious. 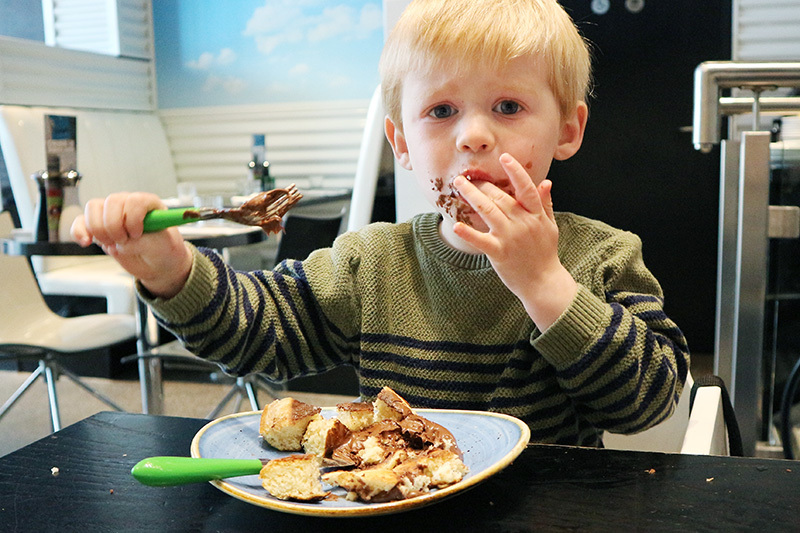 Of course, Zach ended up with more chocolate on his face than in his mouth, but that is the sign of toddler enjoying his meal, right? Jono went for the CAU Breakfast, which was absolutely huge, although he did mention that it was a little cold on arrival. For review purposes, of course, I tried a little bit of his sausage and bacon, and again they were both really delicious, and you could tell they were really good quality. After being a little indecisive I chose the Coal Roasted Peaches, and I am so pleased as my meal was divine! 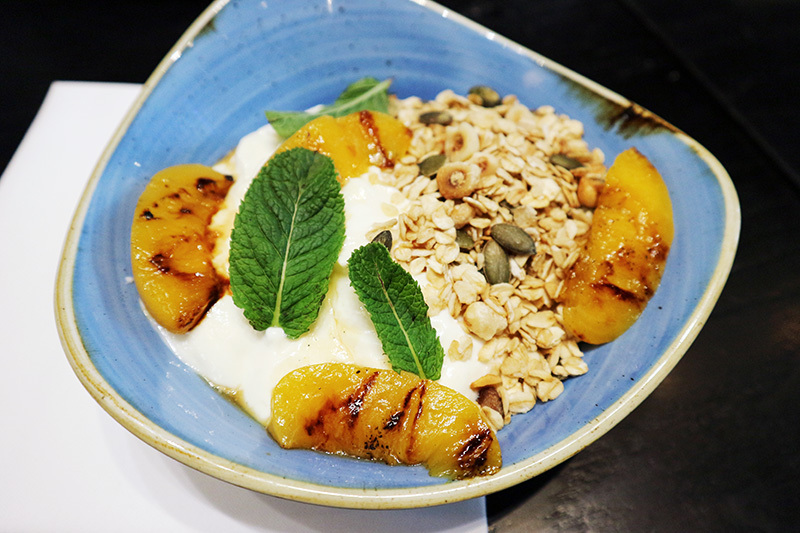 The combination of the sweet peaches with the creamy yogurt and crunchy granola was heavenly, and I enjoyed every single mouthful. The portion itself was actually really big, and I found it a struggle to finish which is something I never thought I would say about yogurt! The clever people at CAU have clearly put a lot of thought into catering for children. 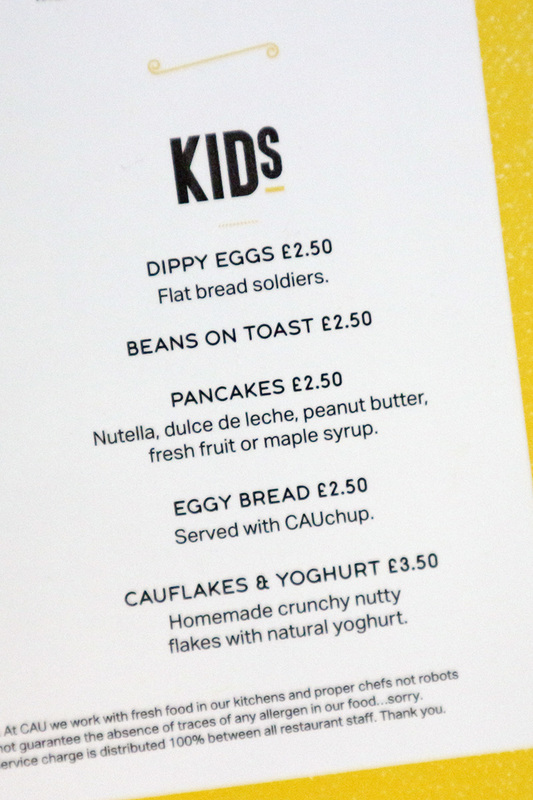 As well as having a dedicated kids section on their brunch menu (and of course, a kids menu for lunch and dinner) there were some little things which made eating out with a child so much easier. As in most restaurants, Zach was given some colouring to keep him entertained, which held Zach's attention whilst we waited for our food. 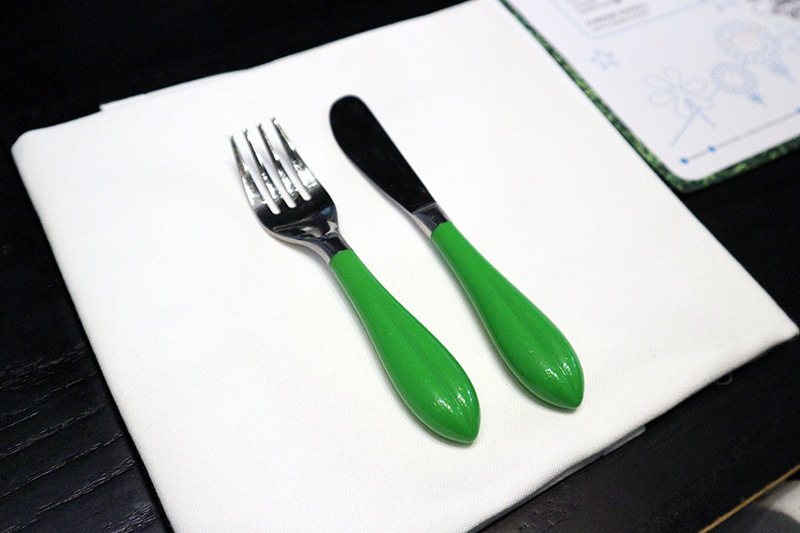 One thing I hadn't expected though, was that Zach was given children's cutlery, something which so many restaurants fail to offer, but really does makes such a difference. 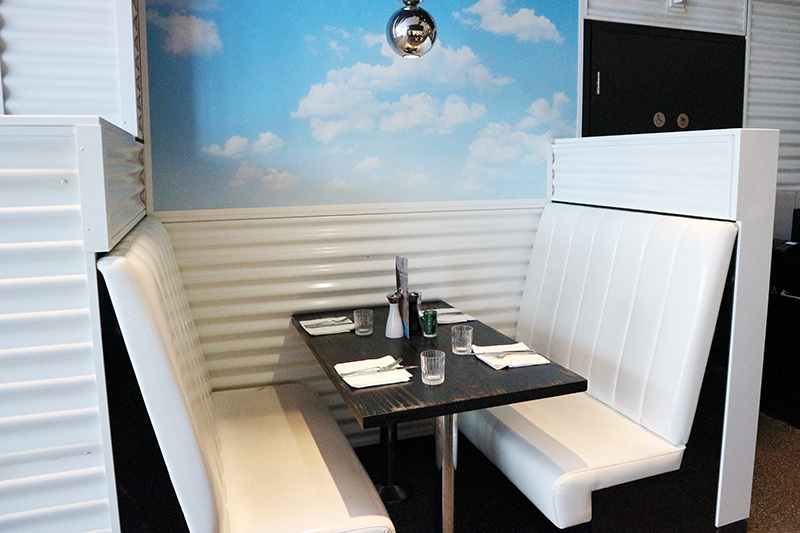 The restaurant has plenty of high chairs, as well as baby changing facilities on the ground floor, to which there is totally step-free access. We didn't take our pushchair with us, so didn't have to worry about finding a space for it, but I'm sure that the staff would go out of their way to find a suitable spot for one should you need it. Overall, I would definitely recommend the brunch menu at CAU. 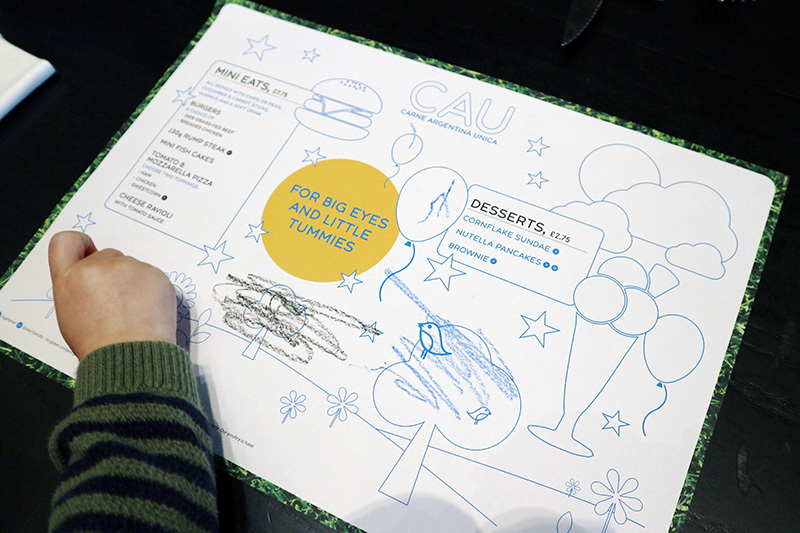 The food was delicious, the thought put into the kids menu was brilliant, and our waiter was absolutely wonderful. The food at CAU is not cheap, but I do think that it is reasonably priced when you consider the quality of the food you are getting. I will definitely be taking Zach again to try out their main menu for lunch or dinner, and will continue to recommend CAU as one of my favourite restaurants in Cambridge. I've actually never had Argentinian food - this place looks lovely though! 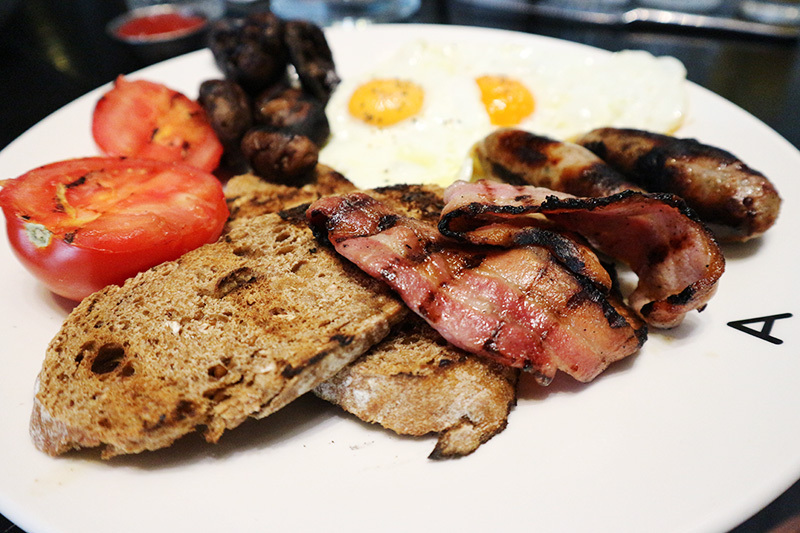 It is morning now, and I could do with Zach's delicious breakfast plate. Haha! Weetabix it is instead!